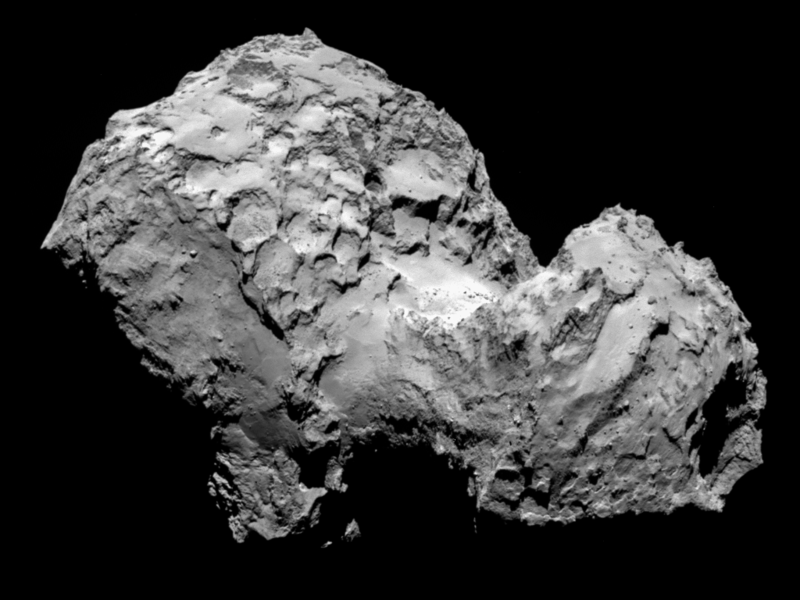 Above: This weird looking lump is a comet - a 4.5 billion year old relic o the ancient universe. Not what you just thought it was. Yes, I know what you thought it was. Above: The first flight of the Orion space capsule... at last! Video courtesy of NASA. 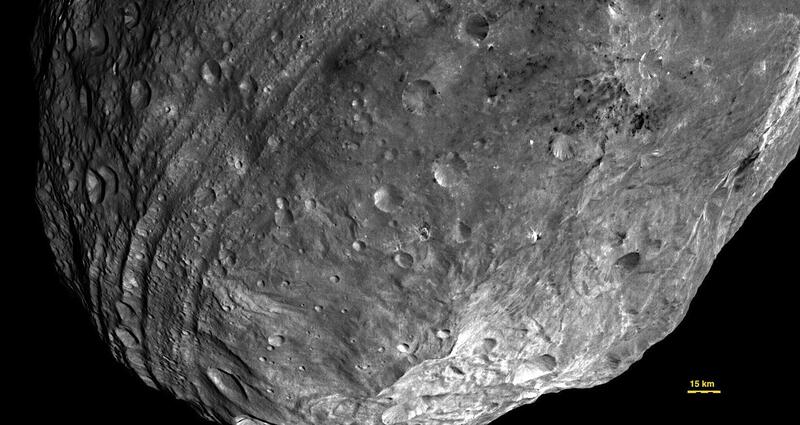 Above: Vesta. Originally it was round.. so, yeah, it's 'a bit foxed' as we British say. Image courtesy of NASA. Above: Vesta, stop being weird! Craters should be round. Round damnit! Image courtesy of NASA. ....and surprising pockets of hydrogen bearing material - unusual because this would usually mean water ice beneath the surface, something that seems unlikely at Vesta. Now DAWN is almost at it's next target, the dwarf planet Ceres. Ceres is already an enticing world, just because of the information gathered by large telescopes: This little world shows signs of hydrated minerals on it's surface, and a plume of water vapour over one pole. Computer simulations suggest that once Ceres might have been warm enough for asubsurface ocean, an enticing prospect for scientists hunting after possible habitats for alien life. Above: Hubble's view of Ceres - known as the 'mouldy peach shot'. 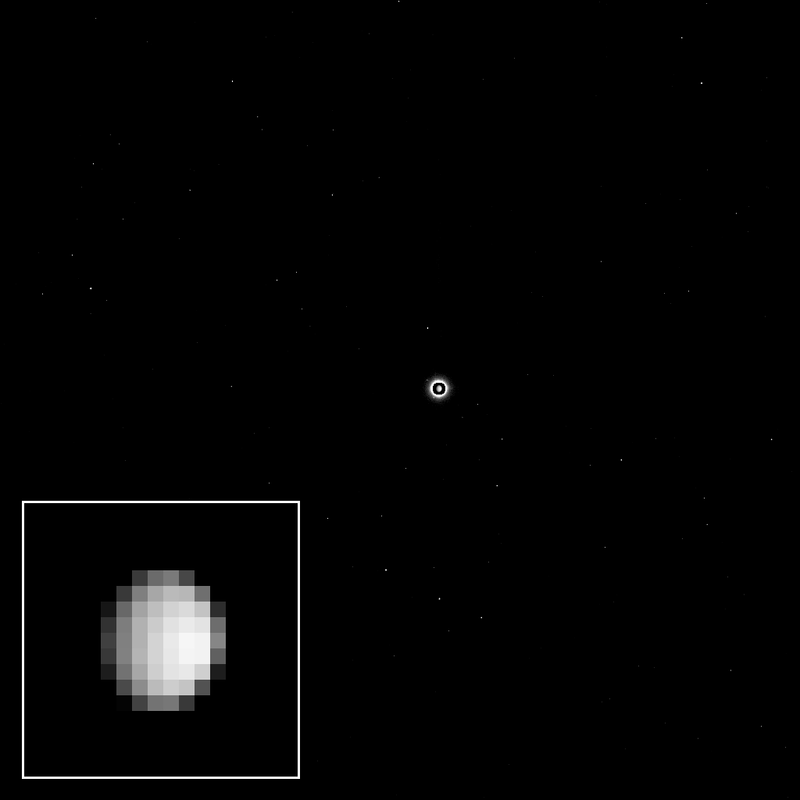 Right now Ceres is just a pixelated blob, but from January onwards Dawn's cameras will have the best view of this little world in the solar system. Above: A painstakingly assembled image of Pluto and its moon Charon. Not a disco ball, I promise. Courtesy of NASA. ...shows signs that the water ice on it's surface might begetting replenished, perhaps hinting at volcanic activity and internal temperatures high enough for liquid. And, since the New Horizons mission launched, better telescope imagers have increased the number of moons from one big one, to one big one plus a swarm of little ones. New Horizon's trip through Plutonian space is perhaps going to be a bit riskier than anticipated, since the region appears to be filled with chunks of ice. Above The newly discovered moons of the Pluto system. Image courtesy of ESO. But, danger or not, New Horizons has awakened from hibernation this weekend. The mission controllers have received telemetry, confirming that the space craft is alive.... it's time for NASA to boldly go somewhere no-one has ever been, again.